The weekend just gone was pretty unforgettable, mainly because we keep reminding you about it, but also because, well, it was just a bit lovely wasn’t it? However, as photos from the royal wedding continue to do the rounds, some eagle-eyed fans think they’ve spotted a big mistake in one of Harry and Meghan’s official photos. The first official images of the royal wedding were released yesterday (May 21), by Kensington Palace. 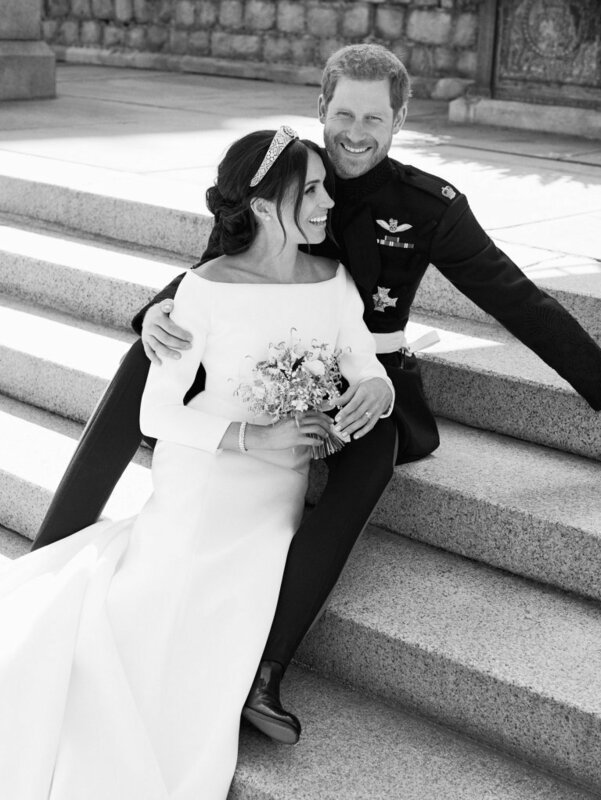 Taken by photographer Alex Lubomirski, the pictures portrayed a regal scene with the newlyweds and their families. 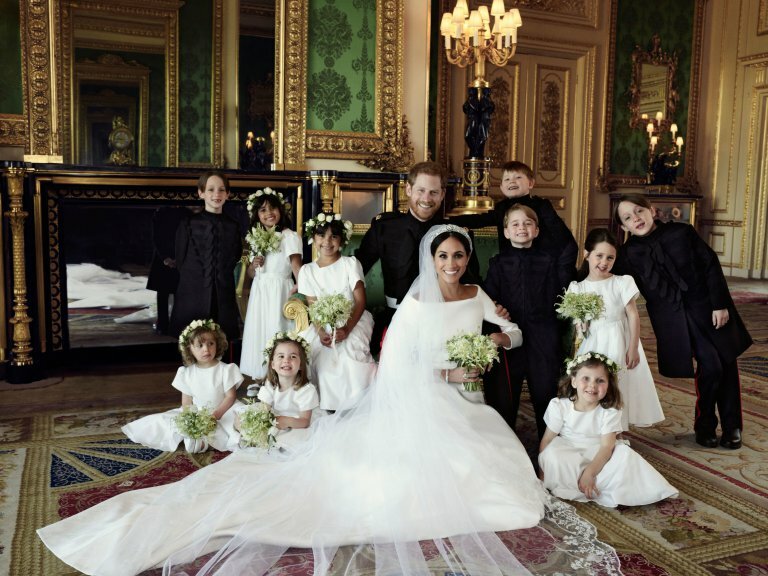 There was another, more informal picture, with just the young bridesmaids and pageboys, as well as an intimate, heart-melting, sweet black and white portrait of the happy couple. However, it was the group shot of the senior royals, along with the bridesmaids and pageboys, which caught the attention of some royal fans. In the photograph, four-year-old Ivy Mulroney and three-year-old Florence van Cutsem are seen holding a bouquet of flowers between them. But in the picture without the senior members of the family, Florence, who is Harry’s goddaughter, does not have a bouquet at all. There is, however, a reason for Ivy and Florence sharing the bouquet in the photographs. Ivy, who’s the daughter of Meghan’s best friend Jessica Mulroney, was responsible for taking Meghan’s flowers once the bride has reached the altar, and didn’t have her own bouquet during the ceremony, reports the Daily Mail. She also wore flowers in the back of her hair, unlike the other bridesmaids who wore floral garlands, due to her hair style. Glad that’s all cleared up. What happened to the wedding flowers after the special event was perhaps one of the most heartwarming gestures to come from the big day. The royal bouquets, which decorated the venue on Saturday’s union, have since been sent to St. Joseph’s Hospice in London. The bouquet was made up of hand-picked flowers of Harry’s from their private garden at Kensington Palace, a day before the ceremony. Today we got a very special delivery. Beautiful bouquets made from the #royalwedding flowers which we gave to our patients. Harry and Meghan are due to attend a Buckingham Palace garden party on Tuesday, as part of the Prince of Wales’ 70th birthday celebrations. The couple are delaying their honeymoon to take care of their first official engagements as husband and wife, while Meghan is expected to announce which charities and campaigns she’ll become a patron of.